Solid Sleepy Hollow Home, Brick & Vinyl Exterior with old world charm & craftsmanship! 37.5' x 6' covered Front Porch with Porch Swing! Gracious and welcoming Foyer & Formal Dining & Living Rooms with Marble Tile flooring, Paneled Ceilings with Ceiling Beams! 24' Family Room with Gas Fireplace & wall of double matching Bookcases! 35' Granite Kitchen with Stainless Appliances, Gas Range, Eat-in Area with French Door out to the Screen Porch overlooking beautifully landscaped private Rear Yard with Privacy Fence, heated inground Gunite Pool with abundance of outdoor spaces including expansive Patio Area with custom Grille Island with built-in Refrigerator! Full Basement with 35' x 14' Rec Room with Gas Fireplace, 19' Fitness Room, and 35' x 13' Utility Room! Automatic natural gas Generac Generator, 6 zone Lawn Irrigation! 2 Car attached Garage with Paved Circular Drive plus a paved 70' x 38' Parking Pad, .59 Acre Lot! 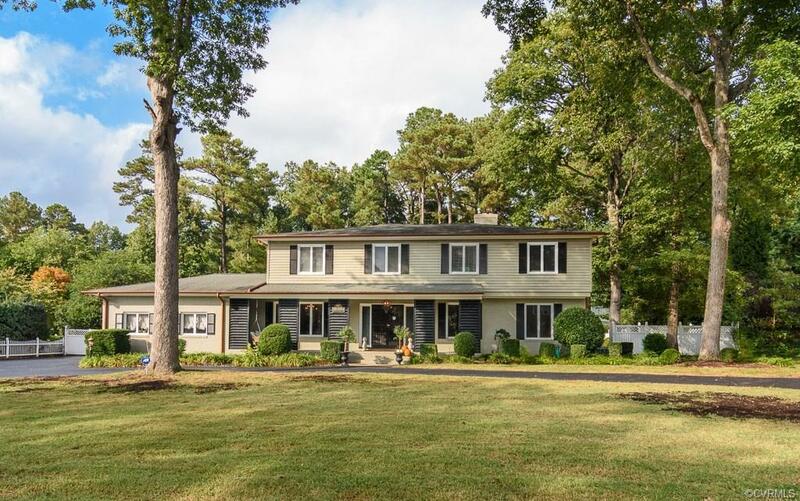 Highly sought after Sleepy Hollow location within easy walking distance to Collegiate, Avalon Pool, the Tuckahoe YMCA, Maybeury Elementary School!!! Directions: River Road To N. Mooreland, To Tarrytown.